Describing the rain of bombs which fell on Aleppo on Easter Sunday 2016, Franciscan friar Fr Ibrahim Alsabagh said: “It was more like Good Friday than Easter Sunday… People were either burying their dead or else they stayed at home out of fear.” He added: “Never, since the beginning of this terrible war, were things as bad as they are now. I have no words to describe all the suffering I see on a daily basis.” The intensification of the bombardment of Aleppo in 2016 and the increased numbers of civilian casualties made news around the world. While many media outlets focused on the government bombing of the northern held part of the city, the rebel shelling of the government-held south was just as intense – with several reports received by Aid to the Church in Need stating that the rebels had specifically targeted the Christian quarter. Aleppo, which until 2011 was home to the country’s largest Christian community of 150,000, saw an exodus of faithful, with numbers dropping to barely 35,000 by spring 2017 – a fall of more than 75 percent. Jesuit priest Fr Ziad Hilal said that those who remained there are poor and desperate for work. In many cases people are relying on charity for their food, and the Church has stepped in to help feed those left in Aleppo. With the civil war raging it was not always clear to what degree attacks on Christians constituted targeted hatred for the minority or to what extent they were motivated by their perceived political allegiance to President Assad. However, throughout the course of the conflict Sunni jihadist militias have specifically targeted Christians – and indeed other minority groups – and religious hatred has been a key motive. The underlying religious dimension of the attacks was made plain by atrocities committed during the seizure and occupation of Christian villages and settlements. 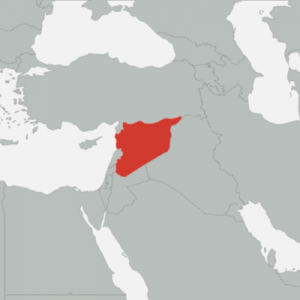 There were reports from some of the Christians who fled Homs in March 2012 that door-to-door campaigns were conducted by jihadists from rebel militias who told Christians to leave the country. The seizure of the Christian village of Sadad at the end of 2013, which saw 45 Christians killed, seems to have been a sectarian attack given its limited strategic importance. 30 bodies were found in two separate mass graves and around 1,500 villagers were used as human shields. One of the biggest problems has been jihadists among the rebel militias. Al-Nusra Front has been responsible for many of the atrocities including Ma’aloula and Sadad – and their rebranding as the Fateh Al-Sham Front in July 2016 may in part have been to distance themselves from such events. Church reports suggested Al-Nusra were responsible for the targeted shelling of parts of Aleppo’s Christian quarter. But the complex relations between different rebel groups have meant the so-called moderate groups have – whether intentionally or not – collaborated in the attacks on Christians, eg the Free Syrian Army (FSA) fought alongside Al-Nusra to prevent Sadad being retaken at the very time when the jihadist group was committing war crimes against its Christian inhabitants. But beyond the Islamists within the rebel opposition Daesh (ISIS) has emerged as a distinct problem, and stands accused of systematic genocide against Christians, Yazidis and other minorities in areas under its control. During the early part of the conflict it was regarded as just another rebel militia and the FSA reportedly sold on weapons to Deash. Even after the rupture between other Islamist groups Al-Nusra and Daesh over the latter’s far more extreme stance, shown in events such as the execution of British national Alan Hemming who had been doing charity work in Syria, the FSA worked alongside Daesh in a number of campaigns. 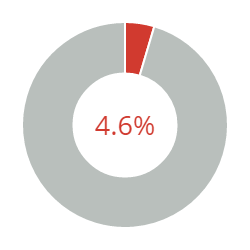 Christians – who are mostly from eastern-rite Churches, such as the Melkite, Syriac Orthodox, and Greek Orthodox Churches – are now around five percent of the population. Before the war they comprised about 10 percent, showing a disproportionately high number have fled. It is estimated that well in excess of 700,000 Christians have left Syria over the course of the conflict. Christians, who often lived in strategically important zones, fled in large numbers as these areas became caught up in the war, becoming displaced within Syria or seeking refuge outside of the country. Syriac Catholic Patriarch Ignatius Aphrem II was apprehensive about the future of Christianity in the country. He said: “I am worried that Christianity is on the way out both in Syria and Iraq as well as in Lebanon.” As a result of the civil war, half the population has fled their homes either becoming Internally Displaced Persons (IDPs) or refugees. In late March 2017 the United Nations High Commission for Refugees stated that there were more than five million Syrian refugees in the region. With Syrian refugee numbers increasing by almost one million within 12 months, the crisis highlighted the repeated failure of the UN’s Geneva peace process to bring government and opposition together to find a political solution to the conflict. However, a tentative ceasefire between government and rebel forces brokered by Russia and Turkey at the end of 2016, has meant that the situation drastically improved during the latter part of the period under examination and reports of persecution have fallen as Islamist militia among the rebel groups have observed it. However, a resumption of hostilities would probably see a return to the apparent targeting of Christians. However, the problem of Daesh’s attempt to carve a caliphate out of the country remains an ongoing issue not only for Christians but for all religious minorities and all non-Sunni Muslims in areas under the extremists’ control. August 2015: Daesh demolished the fifth-century Mar Elian Monastery in Al-Qaryatayn, near Homs. Daesh posted a series of images showing the destruction of the Syriac Catholic church and its historic complex, as well as their exhumation of the relics of St Elian. October 2015: A video was released showing three Christians being executed by Daesh. The three men came from villages near in the Khabur river, which Daesh captured in February 2015, appeared on their knees, dressed in orange jumpsuits. They were killed with gunshots to the neck. Each of them identified themselves by repeating their names and village of origin before being killed. The execution took place on the morning of Eid Al-Adha (the Feast of Sacrifice) 23rd September. 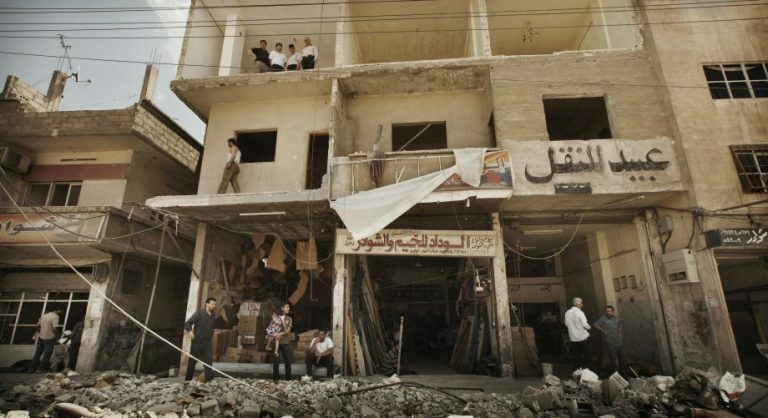 December-January 2016: 13 Christians and six Muslims died when two Christian owned restaurants were attacked in Qamishli, on 20th December 2015. Another attack in the vicinity on 24th January 2016 left three dead and 10 wounded. January 2016: Father Dhiya Azziz was freed, having been seized in July 2014. It was believed that the priest had been taken by Al-Nusra Front, but they denied any involvement in his kidnapping and helped with the police investigation in neighbouring villages which led to his liberation. Father Azziz was abducted by another jihadist group. April 2016: Groups linked to Al-Nusra Front group launched an attack on the predominantly Christian city of Sqelbiya, in the central province of Hama on Sunday, 24th April killing at least four civilians. April 2016: 200 Christians were reportedly killed during the bombardment of Aleppo’s Christian quarter. According to the Barnabas Fund, between 22nd – 30th April 22 up to 1,350 rockets fell in the area, killing 132 people, up to half of which were women and children. On 3rd May a further 65 were killed, around 35 died when Dabbit Hospital, which only cared for women and children, was destroyed. Reports received by Aid to the Church in Need suggest that rebel groups specifically targeted the Christian area. September 2016: Kurdish militias were accused of occupying Christian villages in north-eastern Syria. The villages are in the Khabour River are of Hassake province, where Daesh seized 35 Christian settlements in February 2015, taking more than 200 villagers hostage. A number of the villages – including Tel Nasri and Tel Goran – were liberated by Kurdish militias in May 2015, but months later their inhabitants have complained that they have still not been allowed to return and voiced fears that the Kurds are intending to keep the villages. It was alleged in June 2017 that the Kurdish Peoples Protection Unit (YPG) had entered into a pact with a non-aggression Daesh, that recognised their rights to the lands they were occupying in Hassake. January 2017: Two Orthodox families, including children, who had been granted residence in the US, were turned away by officials, after an executive presidential order denied citizens from Syria and other Middle Eastern countries entry into the country. Sarmad Assali, from Allentown, Pennsylvania, who was waiting to receive her relatives, said the families were not allowed to use phones or email to contact family in the US while they were detained at Philadelphia Airport. In late 2015 the families were given approval to enter the US on an F-4 visa, an immigration visa for those with family members who are US citizens or Lawful Permanent Residents. The news followed figures from the Pew Research Forum that 99 percent of the 12,587 Syrian refugees resettled by the US government in 2016 were Muslim and less than one percent were Christian. April 2017: Lord Carey of Clifton, the former Archbishop of Canterbury, claimed that Christian refugees from Syria are being discriminated against in the UK’s Syrian Vulnerable Person Resettlement Programme. After figures were released showing that less than one percent of the Syrian refugees resettled in the third quarter of 2016 were Christians, Lord Carey blamed “politically correct” officials for the underrepresentation. April 2017: The bodies of five Syrian Christians abducted by Al Nusra Front during their occupation of Ma’aloula were laid to rest on Tuesday 25th. Their bodies were discovered in a cave in Aarsal, Lebanon near the border with Syria. After forensic tests the bodies were finally identified as belonging to five of the six individuals abducted on 7th September 2013. There is still no news concerning the sixth person, who was abducted at the same time. The Lebanese authorities formally handed over the remains to the Syrian authorities in the frontier town of Jdeidet Yabous, from where they were transferred to Damascus, where the funeral was held. Melkite Patriarch Gregorios III conducted the funeral. He described them as “our five martyrs”: four of the deceased belonging to the Melkite Greek Catholic Church and one to the Greek Orthodox Church.